ClearIAS™ is an education-technology startup, with a vision of educating India. 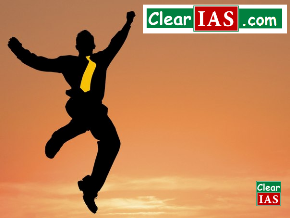 Designed as a self-study package for IAS exam preparation, ClearIAS™ has helped many candidates to successfully clear UPSC Civil Services Examination. 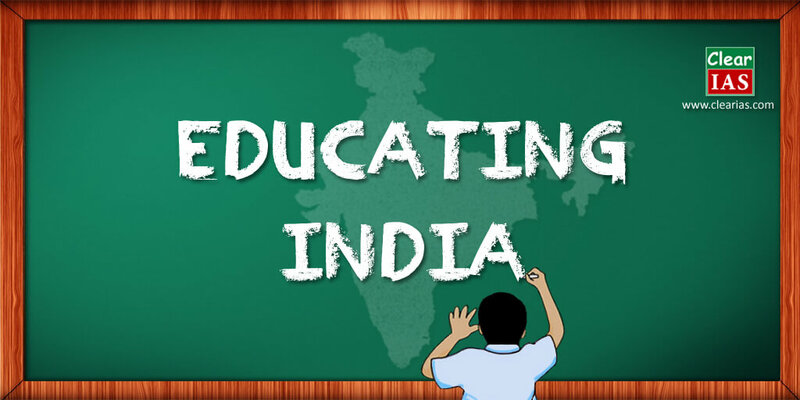 We work hard to ensure high-quality education accessible to millions in the country. With the help of technology, ClearIAS has developed unique ways of making learning an enjoyable experience. That’s the reason why we are equally loved by school students just like IAS exam toppers. Our popular products include ClearIAS portal, ClearIAS app, and ClearIAS mock test engine. Rated among the top quality websites for IAS preparation by serious aspirants, we provide free online study materials, guidance, toppers interview, online mock exams and lot more. ClearIAS™ is the comprehensive self-study package for UPSC CSE. This venture helps all aspirants who look for guidance outside the classroom coaching. ClearIAS was started with a vision of quality, but affordable online education, giving stress to self-study. The growing popularity – a sign of quality! ClearIAS website receives more than 20-30 lakh page views per month. ClearIAS app with more than 5,00,000 downloads is the most popular mobile app in the field of IAS exam preparation. ClearIAS Facebook page is one of the most popular social media pages of an online education initiative with more than 4,00,000 followers. Our prelims mock test platform has been used by more than 2,00,000 aspirants. What motivates us is not the news and statistics, but the enthusiasm and affection of aspirants across the globe who acknowledge our service in the field of quality online education. A career in Civil Services (Central/State) is an ambition of thousands, but unfortunately, many deserving candidates don’t achieve their dream. The primary reason being the lack of proper guidance or even worse, misguidance from many low-quality coaching centers which charge hefty fees too. Classroom IAS coaching is often very expensive and is available only in metros like Delhi. It was at this juncture ClearIAS conceptualized, with a vision to bridge the gap of facilities and guidance between urban and rural. 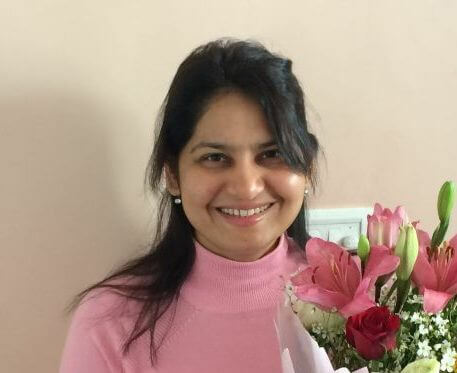 ClearIAS.com truly wish the door to the dream of IAS/IPS/IFS should not be closed to any genuine candidate due to misguidance or lack of proper awareness about the top competitive exam in the country. ClearIAS – the comprehensive self-study package for UPSC CSE – is a venture to help all aspirants who look for guidance outside the classroom coaching or who can’t afford it due to time/financial constraints. Our vision is to guide maximum candidates in the right path, particularly from the rural side, who otherwise would have very little chance to walk through the power corridors. We believe that services like IAS, IPS, IFS etc need the best brains in the country and we strive to ensure that no deserving candidate be left out of UPSC exam competition due to inaccessibility of expensive IAS classroom coaching. 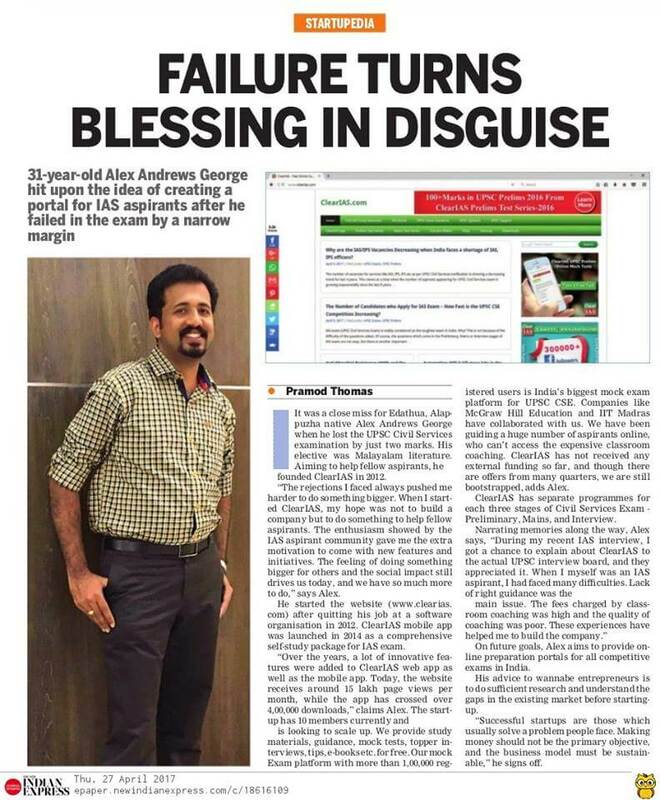 From a one-man blog to a major portal with more than 4 lakh Facebook followers, the growth was rather quick, thanks to the support and encouragement from thousands of aspirants. ClearIAS™ -The Journey: Started in mid-2012, ClearIAS.com until the moment is completely free. Study materials and notes for IAS exam preparation are provided on the website free of cost to supplement the traditional textbooks. Facilities for the direct online purchase of essential IAS books for each subject are also provided. The Publisher (ClearIAS) meets expenses (hosting charges and others) through the advertisements and books sales through the website. ClearIAS™ releases android app: On June 8, 2014, ClearIAS™ released its android mobile app. 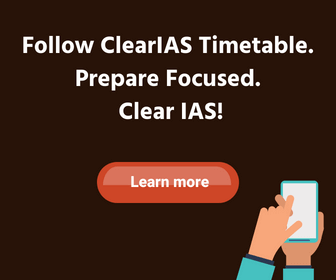 Named ClearIAS™, the android app helps aspirants extend their IAS Preparation from laptop to mobile too! Interested aspirants may click the link to install ClearIAS™ Android App from Google Play Store for FREE. ClearIAS™ releases online test preparation platform: Registrations are opened on June 26, 2015. ClearIASExam™ is the online mock test platform for UPSC Civil Services Exam. This platform integrates learning with test-taking, making the whole IAS preparation interesting and fast. Isn’t it thrilling to learn and compete with thousands of aspirants across India real-time? Also read about our UPSC CSE 2016 Results: 50+ ClearIAS Students clear IAS exam by online preparation. It is with great pain and effort the contents of this website are created and so we don’t encourage plagiarism with business or other motives. Copyright of all information in this website, except unless specifically mentioned is legally held by ClearIAS.com. No other persons or firms have any right to copy or reproduce any content from this website, without written permission from the website owners. Note: Printing or sharing the content for personal use/learning/research is allowed, but not for commercial use. Hope you understand the spirit behind this initiative. Thanks! Feel free to write to us for any queries or information. We are always open to hearing from you. Please e-mail us – contactus[at]clearias[dot]com.